Each layer of the OSI or TCP model has its own functions and interacts with the layer above and below it. Furthermore, the communication between each layer's end devices also establishes peer-to-peer communication; this means that each layer of the OSI model communicates with the corresponding peer. Consider the normal communication that occurs between two IP hosts over a wide-area network (WAN) running Frame Relay, as displayed in Figure 2-3. The data from one (Host A) is encapsulated inside a TCP header and passed down to Layer 3 (the IP layer) for address configuration, where an IP header is also added. Information included here is the source IP address and destination address. Layer 3 (the network layer) passes the data to the local router acting as the gateway via the Ethernet connection in raw binary. 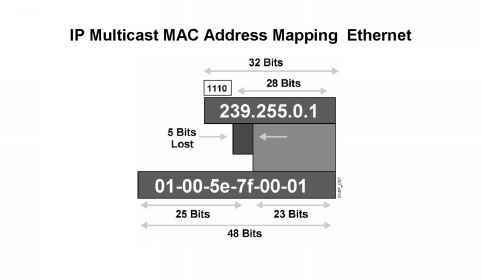 Router A strips the 802.3 header and encapsulates the IP, TCP, and data in a Frame Relay packet for delivery over the WAN. A CRC is added here to ensure the packet is not corrupted over the WAN. Frame Relay is connectionless so, if an error occurs, it's up the to upper layers to retransmit; Frame Relay will not retransmit the packet. Similarly, HDLC (Layer 2 protocol) is connectionless and depends on upper layers to resubmit damaged data packets. PPP (connection-oriented), on the other hand, resubmits packets damaged in transmission over the WAN. Router B receives the Layer 2 frames and strips the Frame Relay header/CRC and encapsulates the IP, TCP, and data frame back into an 802.2 header (with its own CRC; Ethernet checks only for errors and cannot repair them; once more, upper layers, such as TCP, ensure data delivery) for binary transmission across the Ethernet to Host B. The data is passed up the layers through IP, TCP, and finally to the application, where the application layer reads and acts upon the data. The good news for security candidates is that Token Ring and legacy technologies are not covered in the written exam, so this chapter concentrates only on Ethernet switching. Before covering switching, the next section summarizes the evolution of Ethernet so that you are aware of the standards that have developed since Xerox first introduced Ethernet.